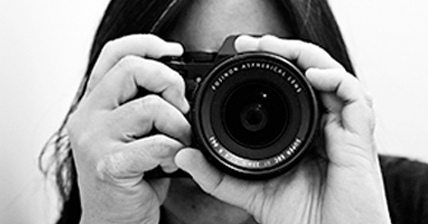 Juggling life, work and blog seems to get harder every year, so pathetic as it is, I’m not surprised that I had all but forgotten about Jac’s and my anniversary this year. Luckily for me, she didn’t forget and made a reservation for us at Deco Restaurant. I’ve been keen to dine at Deco ever since I attended the WA cook-off for Cook for Your Career held at there in February – Jac had quietly taken note of this. For a few hours, I ignored all that’s been troubling me lately to enjoy a decadent lunch, spectacular view and the company of my wonderful partner of 15 years. 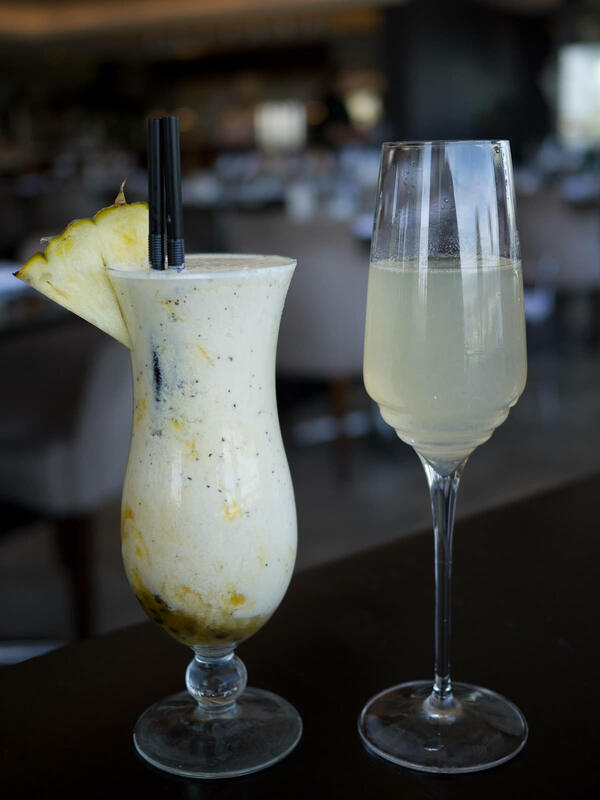 We began with a toast to our 15 years: a virgin pina colada for me, made with cream, pineapple juice and passionfruit; and a French 75 for Jac, made with gin, sparkling wine and lemon juice. Jac’s cocktail was elegant, tart and spritzy; my mocktail, a tropical Splice ice cream, a treat for a gloriously sunny day. 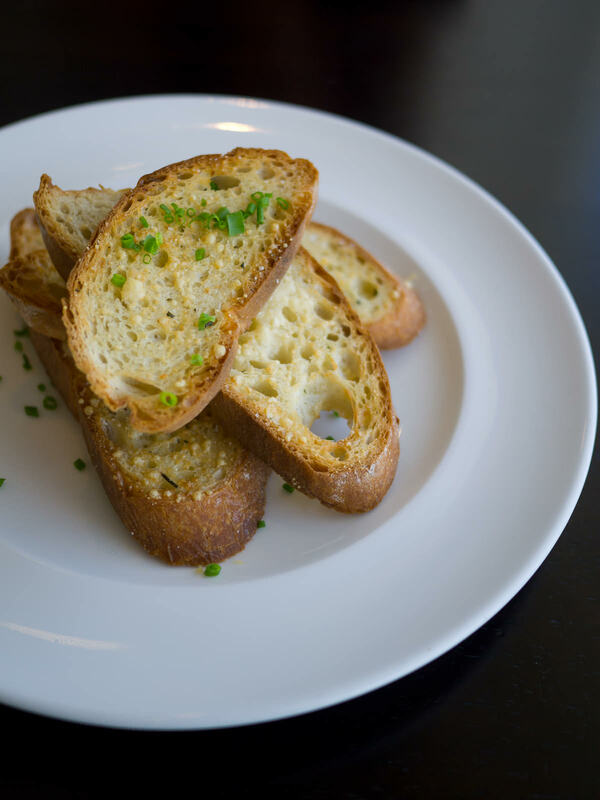 First, we shared crisp and savoury oven-baked garlic, parsley and parmesan bread (AU$7.80). At Deco, five preparations are offered for oysters: natural with lemon (AU$4.10 each); Kilpatrick ($4.30 each); tomato, red onion, chive and lemon salsa ($4.30 each); Rockefeller, baked with creamy spinach & parmesan crumb ($4.30 each); and lime, chilli and soy marinated seaweed ($4.80 each). Jac chose two Kilpatrick, two Rockefeller and two lime, chilli and soy marinated seaweed. Under the toppings were some very plump oysters. The Kilpatrick and Rockefeller were served bubbling hot, hazardous for the over-eager oyster eater. 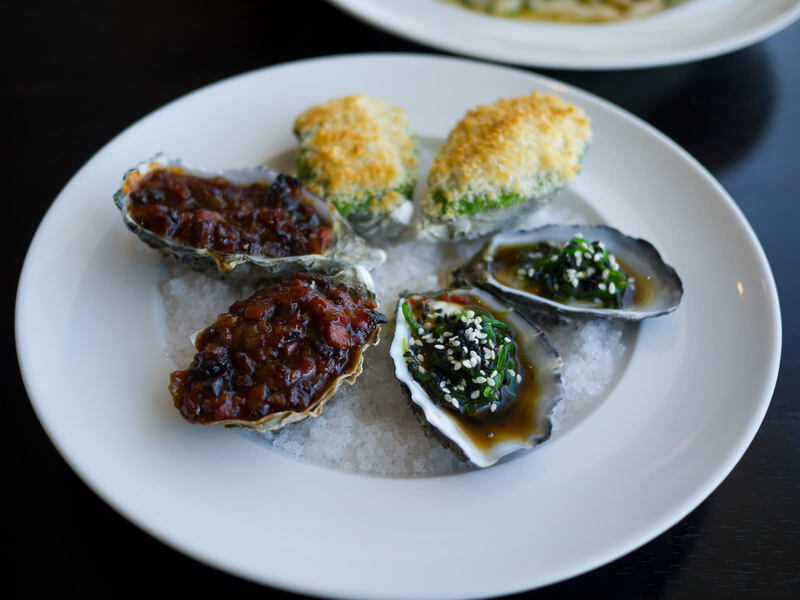 The cold lime, chilli and soy-marinated seaweed oysters were Jac’s favourite of the lot. My starter was the Carnarvon blue manna crab, steamed, shelled and tossed with pasta, chilli, parmesan and citrus flavours. At AU$32 it’s probably the priciest pasta dish I’ve ever ordered for a first course, but I am not kidding when I say it’s one of the best dishes I’ve eaten this year. With the sweet crab meat, fresh chilli julienne and just a hint of parmesan, it was so simple and light, a dish so magnificent and so perfect I was torn between urging the love of my life to taste and enjoy it too – and moving it out of her fork’s reach to keep it all to myself. 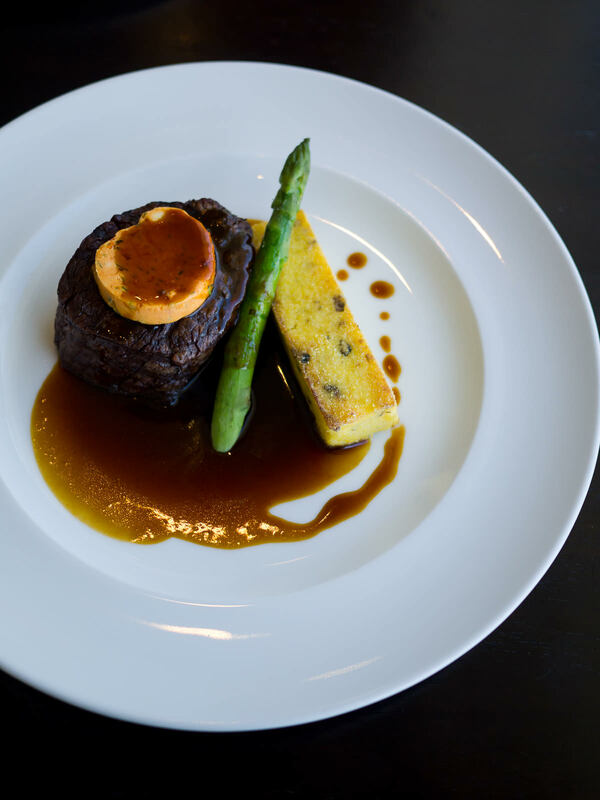 For main course, Jac had the chargrilled beef fillet, medium rare (250g) with sundried tomato butter, madeira jus, mushroom and parmesan polenta and asparagus (AU$45). She loved the mushroom and parmesan polenta, tasty and a nice change to the usual carbs, but would’ve liked more asparagus than a single spear. I find madeira too syrupy sweet for my taste, but Jac enjoyed the madeira jus with the tender steak, even more so than the sundried tomato butter. Knowing that Deco sources its seafood fresh at fish auctions daily, I was tempted to order fish for my main course; but having just come home to Perth after a media trip to the Dunsborough/Margaret River region (a series of blog posts to come), I was craving Asian flavours. I ordered the double roasted duck, slow-roasted in Thai curry sauce with lychees, tamarind, lemongrass, served with coconut rice (AU$45.50). 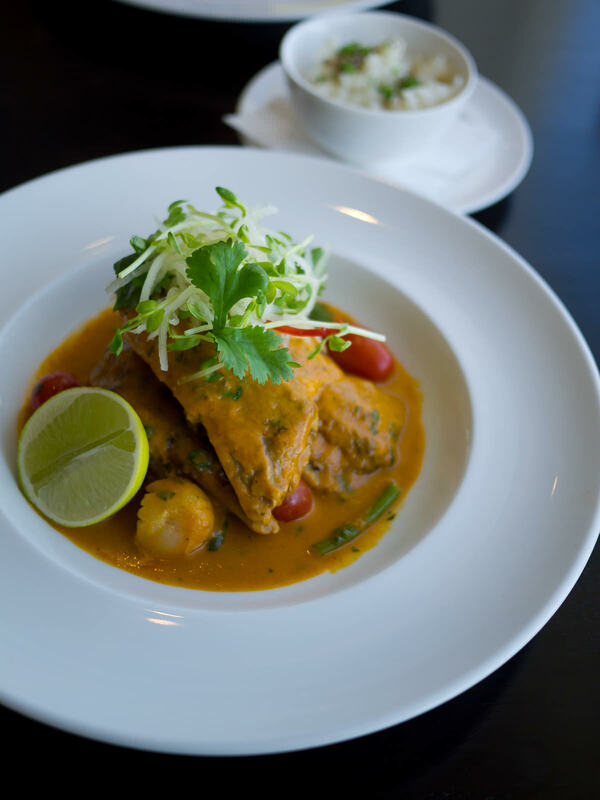 It was a huge serving, with at least half a duck on the plate, tender meat falling off the bone, smothered in a rich red curry sauce with cherry tomatoes, green beans and lychees, served with half a lime begging for a decent squeeze. 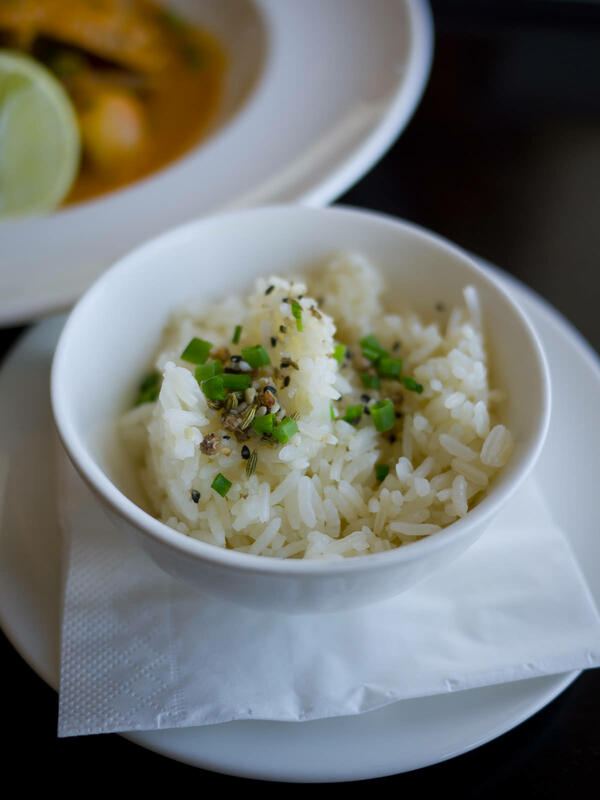 The coconut rice was fragrant and moreish. For dessert, we shared the vanilla panna cotta, served with vincotto summer berries and a brandy snap (AU$15). 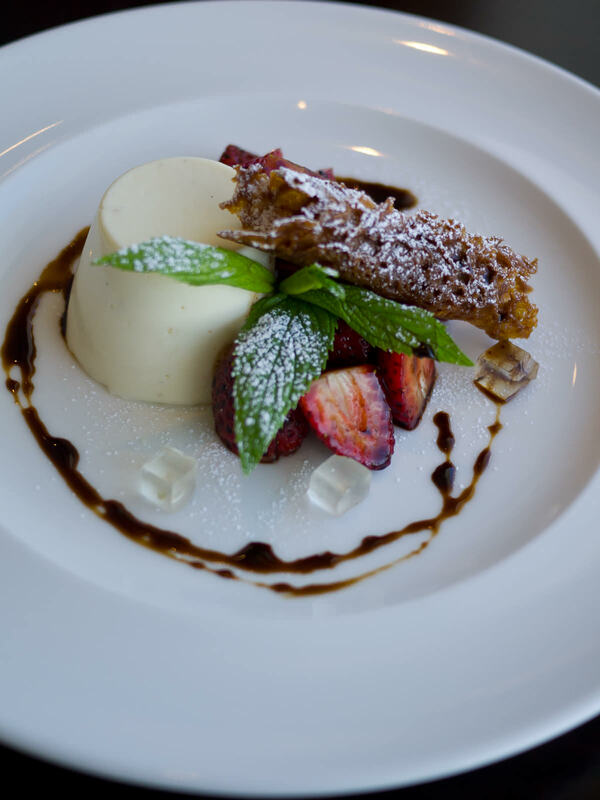 Perfect for sharing with your special sheila or fella, this dish was a sensual pleasure with wobbly, silky soft panna cotta, a crunchy sugar-dusted brandy snap and sweet juicy strawberries macerated and dripping with vincotto. The surprises on the plate were the delicate, translucent little cubes which we were delighted to discover were rose water jelly. It wasn’t very busy for Sunday lunch. 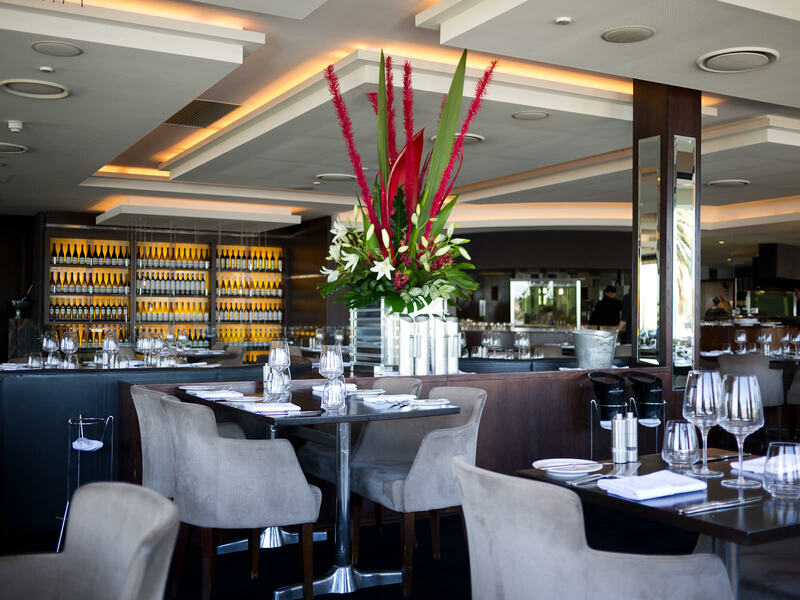 While most Perth locals will know the Raffles Hotel, I think Deco Restaurant may suffer from being “out of sight, out of mind”. 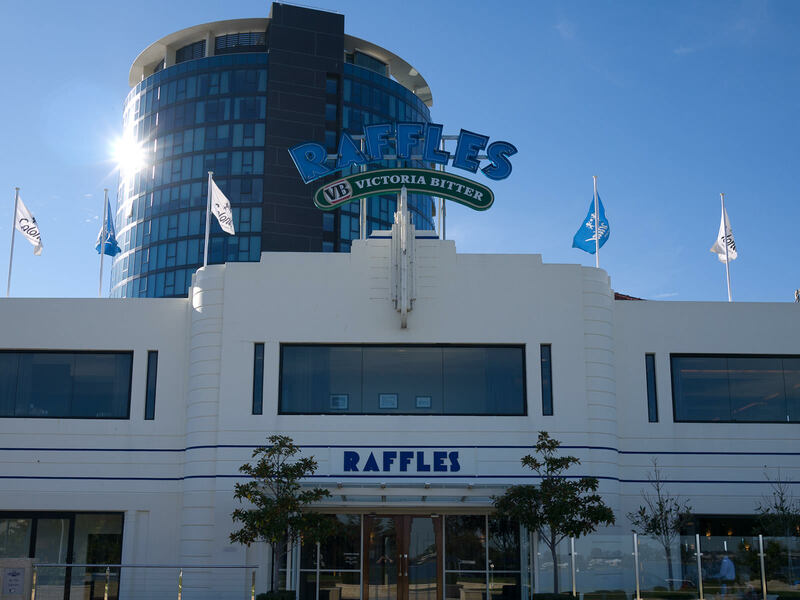 The Raffles lounge bar and beer garden downstairs are popular, but I reckon most people passing by wouldn’t even realise there’s a separate fine dining restaurant upstairs – there are little signs of Deco’s existence until you’ve stepped into the Raffles building. EDIT: A friend who’s a Deco fan tells me that it does get busy at night. I have more friends who knew about the Raffles Hotel but not about Deco. It’s a minor point; make of that what you will. 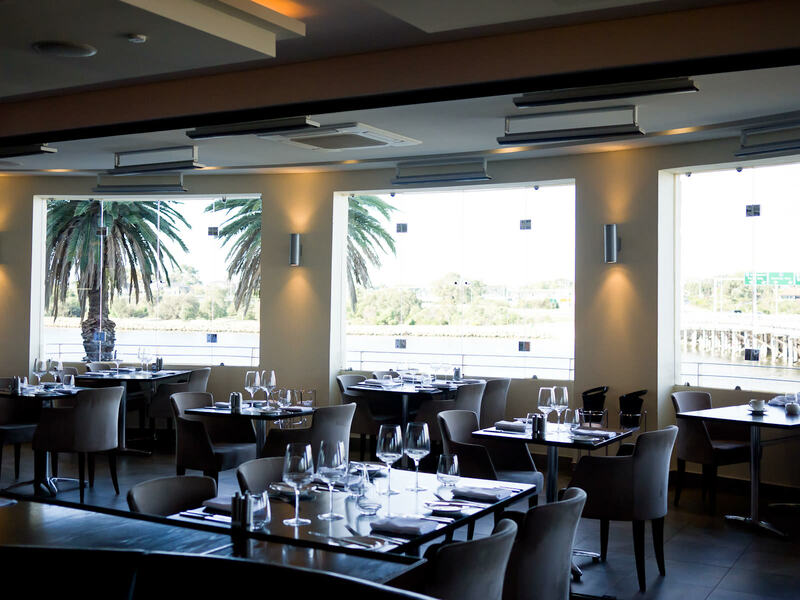 The Deco dining room is sumptuous, with sunlight streaming in through the large windows with stunning river views. Service was excellent; attentive but not intrusive. 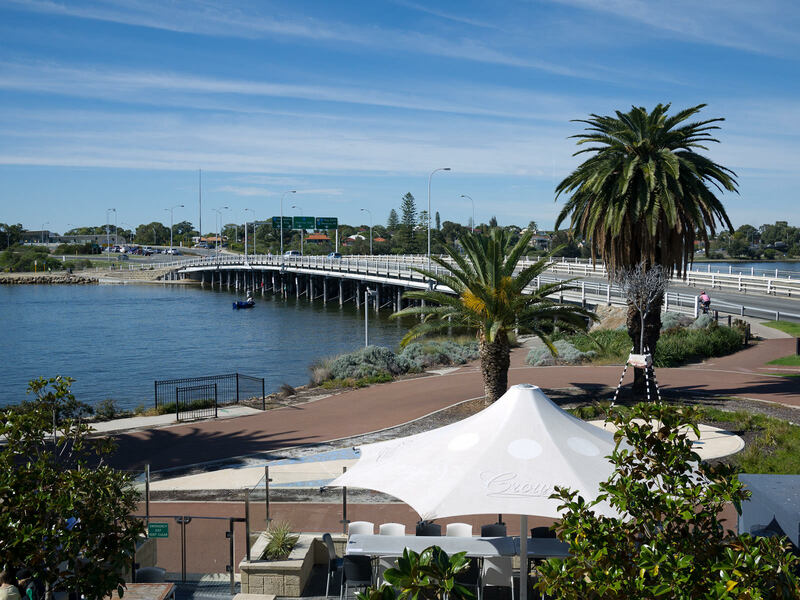 Yes, it’s on the pricey end of Perth dining, but we thought the fabulous food and service were worth it and made our anniversary meal special and memorable. Would I eat there again? Oh yes. 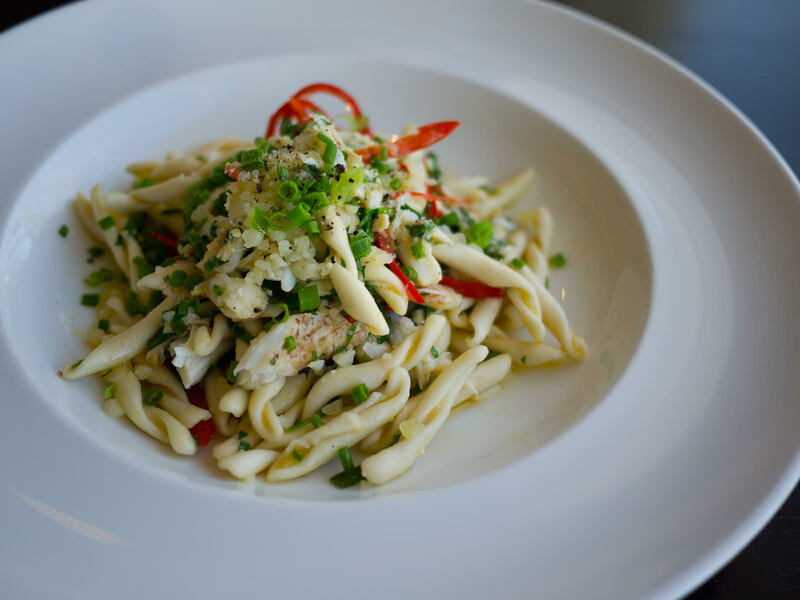 Four little words: blue manna crab pasta. And for those wondering: no, after such a lavish long lunch, we didn’t need dinner that night. OK, well maybe just a snack for me. 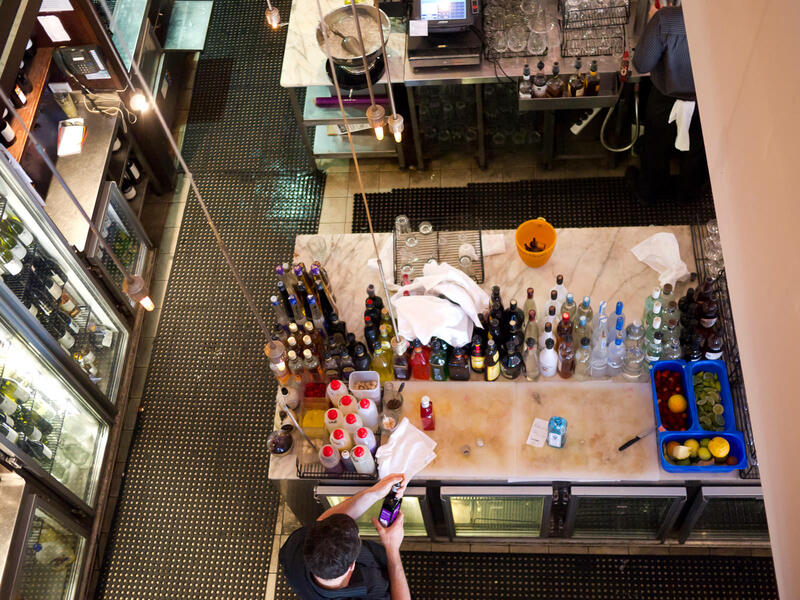 Once you’re in the building, walk up the marble stairs past the cocktail bar, tropical aquarium and the eye-catching feature wall of wine bottles and you’ll find yourself in Deco. 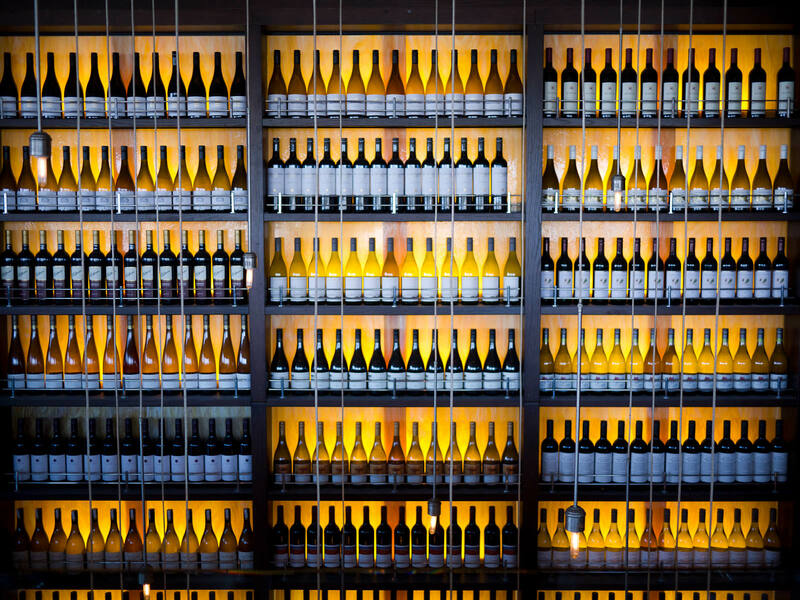 Below the wall of wine bottles, you can peek into the Raffles lounge bar downstairs. The Raffles lounge bar was much busier than Deco. 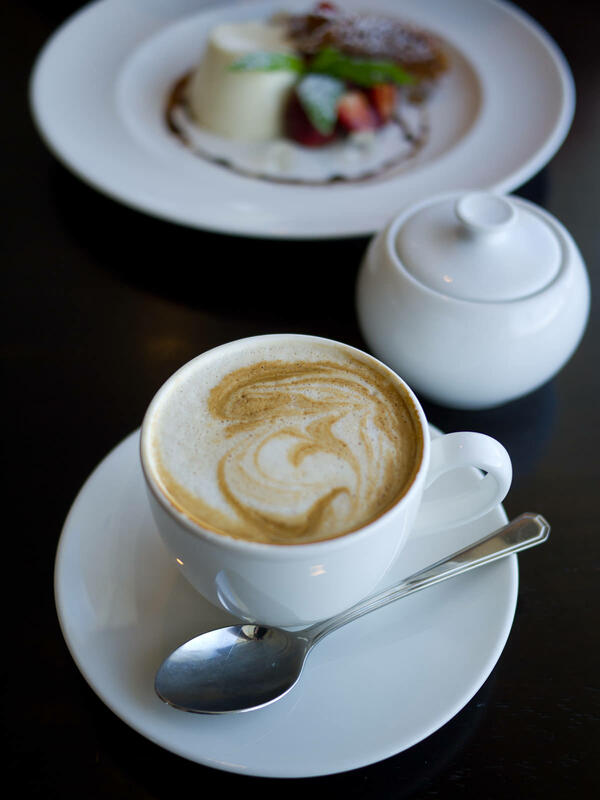 Dining is a less formal affair in the lounge bar. Deco Restaurant is upstairs in the Raffles Hotel, a heritage-listed building, first established in the 19th century and refurbished in 2006. The building’s art deco styling is still evident today.